Delhi, November 11, Interfax – A high-level conference on religious and cultural dialogue will take place in St. Petersburg on July 3-4, 2014, Russian Foreign Minister Sergey Lavrov said at the 11th meeting of the foreign ministers of the ASEM countries (Asia-Europe Meeting) on Monday. Lavrov said the strengthening of religious accord is a very important task. He recalled that Russia suggested holding a high-level conference on religious and cultural dialogue in Russia at the ASEM summit in Brussels in 2010. 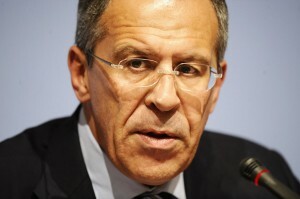 “We invite everyone to take part in it,” Lavrov said.